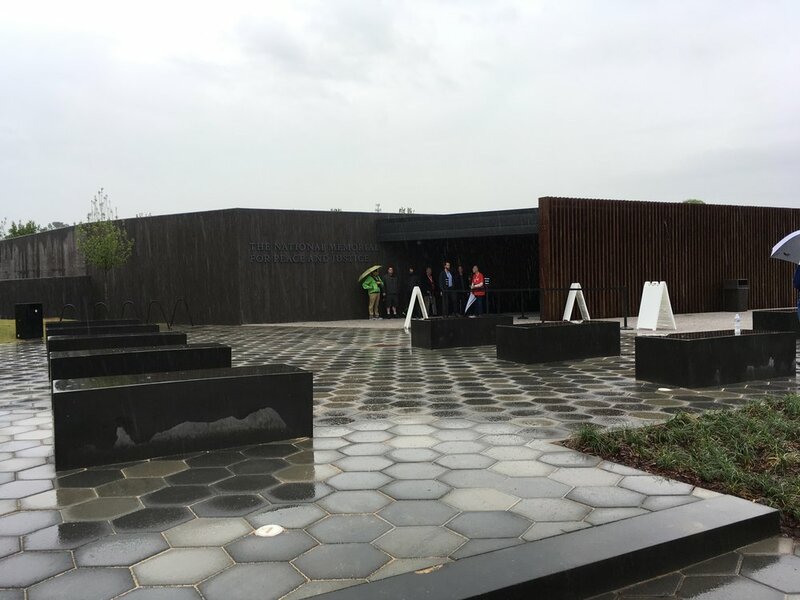 Under the rain soaked skies, I visited EJI National Memorial for Peace and Justice in Montgomery, Alabama. As I walked up the gently sloped landscape, I found myself in a somber, funeral place of difficult history, of mourning and grief, and of powerful remembrance and reflection. On this morning, it is hushed inside, voices muted and rain flowing like small streams off the roof. 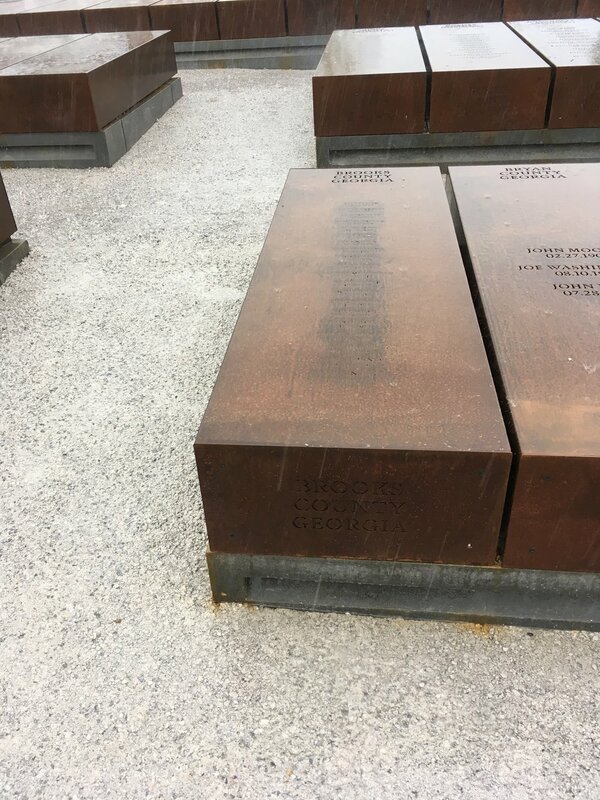 Around me, people search for the names of family members and distant relatives on the hanging tombstones, talking quietly to each other about their own personal histories of racial terror and violence. 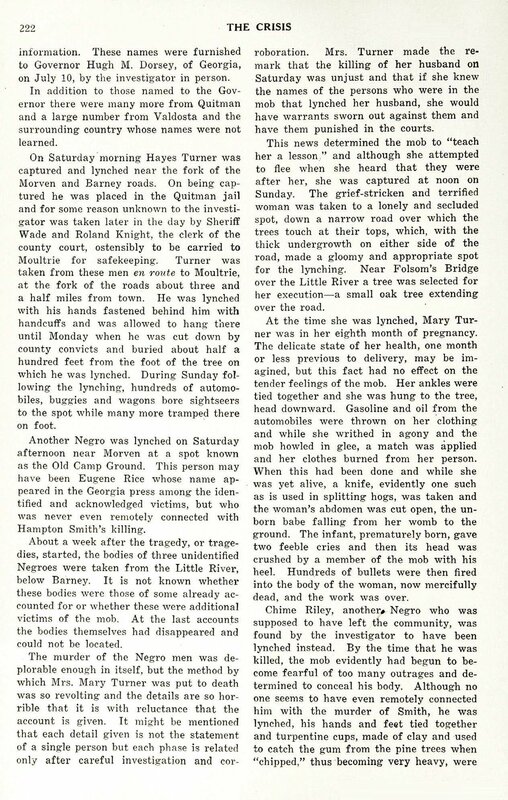 I, too, search for a name: Mary Turner, Brooks County, Georgia, May 19, 1918. "At the time she was lynched, Mary Turner was in her eighth month of pregnancy. The delicate state of her health, one month or less previous to delivery, may be imagined, but this fact had no effect on the tender feelings of the mob. Her ankles were tied together and she was hung to the tree, head downward. Gasoline and oil from the automobiles were thrown on her clothing and while she writhed in agony and the mob howled in glee, a match was applied and her clothes burned from her person. When this had been done and while she was yet alive, a knife, evidently one such as is used in splitting hogs, was taken and the woman's abdomen was cut open, the unborn babe falling from her womb to the ground. The infant, prematurely born, gave two feeble cries and then its head was crushed by a member of the mob with his heel. Hundreds of bullets were then fired into the body of the woman, now mercifully dead, and the work was over." How could white Americans participate in such heinous acts, bringing children and picnics as if attending sporting events? How is that we have allowed ourselves as a nation to deny this horrible legacy of white supremacy? Meta Warrick Fuller, Mary Turner: A Silent Protest Against Mob Violence, 1919, painted plaster. Museum of African American History, Boston, Massachusetts. 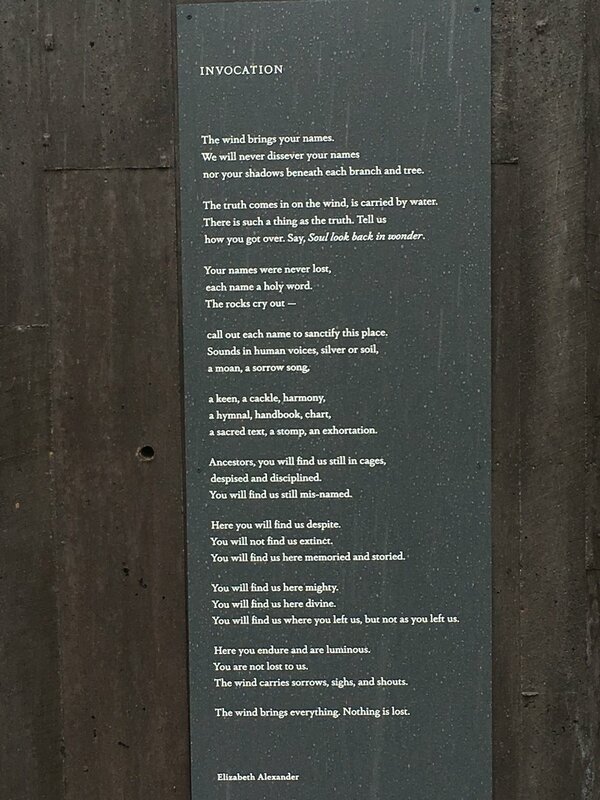 As I exit the memorial, I come upon poet Elizabeth Alexander's Invocation and I am reminded that this history of terror will no longer be forgotten. It is anchored now in steel and concrete, water and earth, trees and sky.